High neck mirror and zardosi work blouse with sheer back neck and elbow length sleeves. Top 10 Nayanthara Saree Looks That We Absolutely Love! i would like to order this gold high neck mirror blouse, how do that. 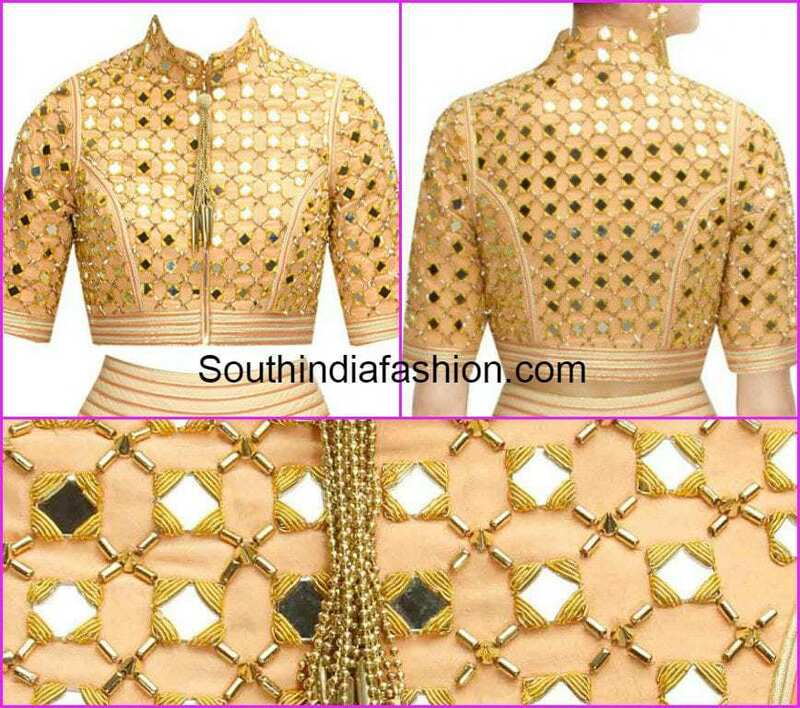 Ihttp://www.southindiafashion.com/wp-content/uploads/2015/06/mirror_work_blouse_21.jpg do that.